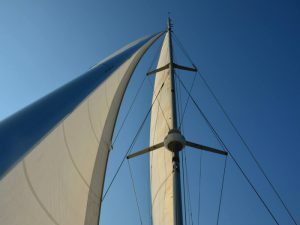 Sailing Zanzibar and the Tropical Indian Ocean Islands of Tanzania! 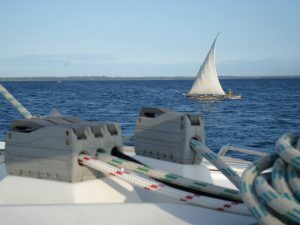 The Ultimate Sailing Zanzibar Adventure! With its constant trade winds, countless islands and tropical climate, Zanzibar, Pemba and the Mafia Island Archipelago seem to have been created for the sole pleasures of sailing Zanzibar. Needless to say, we organise our navigation plan to combine maximum wind exposure with the most spectacular destinations. 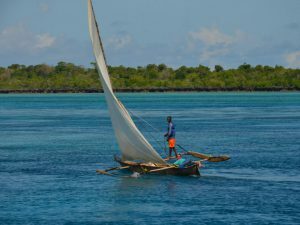 Sailing Zanzibar in Nungwi Bay on a beautiful Traditional Sailing Dhow! The North Monsoon (Kaskazi) season starts from mid December through till March. During our South Monsoon (Kusi), you can Sail from June until October. The wind is always good and during these seasons and really reliable. This adventure includes more than just Sailing, it’s also about experiencing a new way of life. Wake up inside a turquoise lagoon and start the day with a dip in the water whilst breakfast is prepared by the crew. Each day brings a new adventure whether it be discovering a new island, hoisting up the sails and honing your skills or catching a fish for the evening BBQ. You don’t have to be a sailing fanatic to enjoy island hopping on a catamaran. 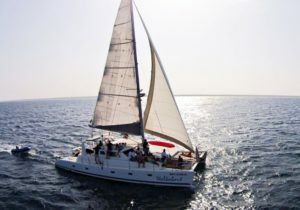 Furthermore, under sail these yachts are very stable and guests have the freedom to move around the vessel. Sunbathe on the trampoline, relax in the cockpit or try your luck at fishing. Guests are always welcome to participate in sailing the yacht. By the end of the trip you should be able to lift anchor, hoist the sails and take the helm by yourself. The anchorages we visit are all protected from the ocean swells and the beach is usually within comfortable swimming distance. Also our crew is always at hand to help you ashore in the auxiliary tender. With a modern catamaran you no longer have to be a salty seadog to go on a sailing holiday. Stable, spacious and loaded with creature comforts, you may feel more relaxed than in your own home! Blessed with a spectacular natural beauty, the tropical island of Zanzibar offers you simply fabulous weather and sea conditions guaranteeing you a holiday you will remember for years to come! 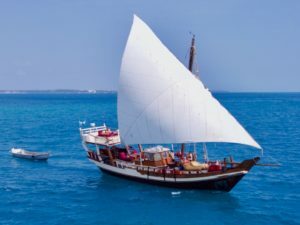 Finally, whether you’re an experienced sailor looking for a demanding Indian Ocean Sail-Away or you’re a novice looking to build some skills in the exotic but safe turquoise waters that surround Zanzibar, we are here for you!